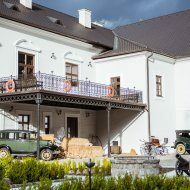 „It was a place where writers, poets, painters or sculptors met to capture the spirit of time, the uniqueness of the moment, the beauty of nature, the old manor and the romantic ruins of the old castle…"
The majestic residence of the old Hungarian noble family Apponyi was built in the place of the original stone building during the 16th and 17th century. It combines graceful curves of renaissance with the purity of classicism, which from the bright white color pass through the green oasis of the adjacent park with rare woods. Its elegance in the interior is highlighted by the Prussian snow-white vaults leaning on the pinkish Spanish marble in the corridors, reminiscent of the Medici and Borgia period. 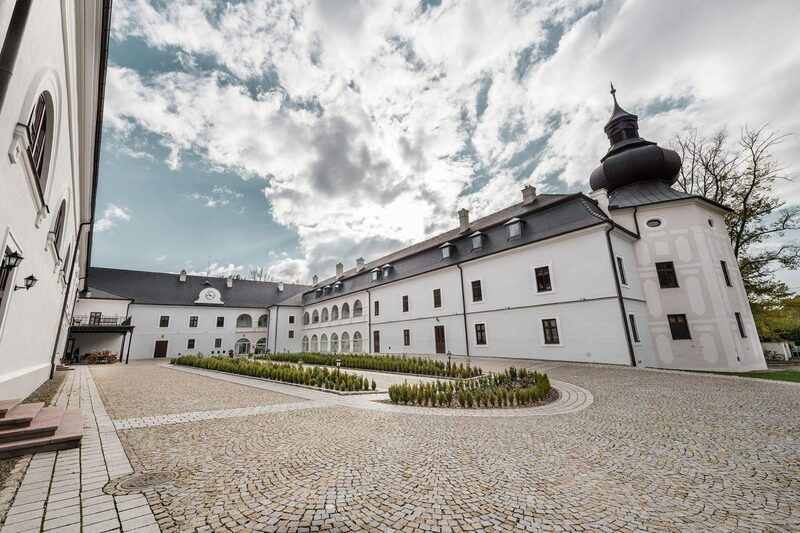 It is the only luxury historical four-star hotel in Slovakia with a baroque library containing twenty thousand volumes, which boasts not only a rich history with a number of personalities but also its "rise from the ashes" in 2007-2011. 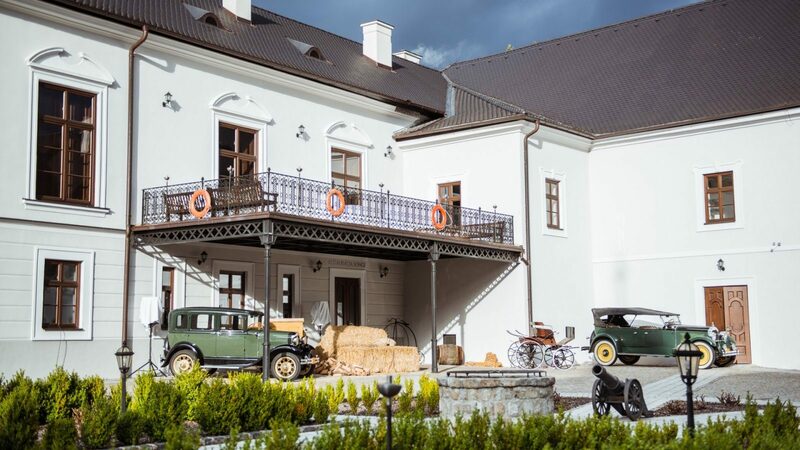 The mansion is located in a small Slovak village only a bit north of the ancient Nitra. The village with about 900 inhabitants is a municipality with rich history of four historical buildings that attract visitors. It also has a long tradition of growing vine that has been cultivated there since 13th century. In the Oponice coat of arms, you can see a medieval man holding a large straw of grapes in his hands. The ruins of the ancient castle protrude from the mountain above the village. 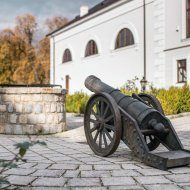 Its history is connected with the times of the Great Moravian Empire; according to the legend, prince Svatopluk placed his sword and treasure right in this place. King Zigmund of Luxembourg was also a keen visitor to this place, organizing rich fox-hunting sessions. 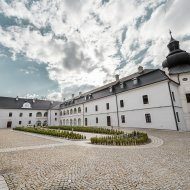 For some time the castle belonged to the oligarch Matúš Čák Trenčiansky. 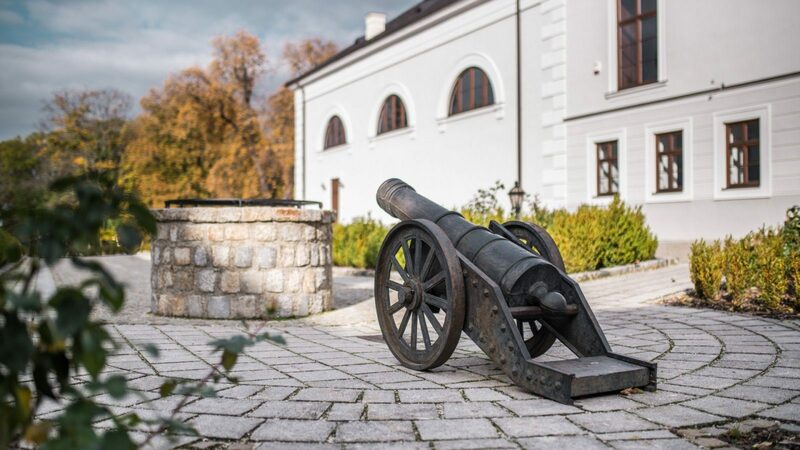 In 1392, the Pecz family acquired the castle in exchange for the Čeklís manor (Bernolákovo). The Peczs appropriated Appony (now Oponice) as the name of their family and still use it in various parts of the world. The family lived in the castle until 17th century, then rebuilt a stone building in the village to the manor house and gradually added to it further wings. 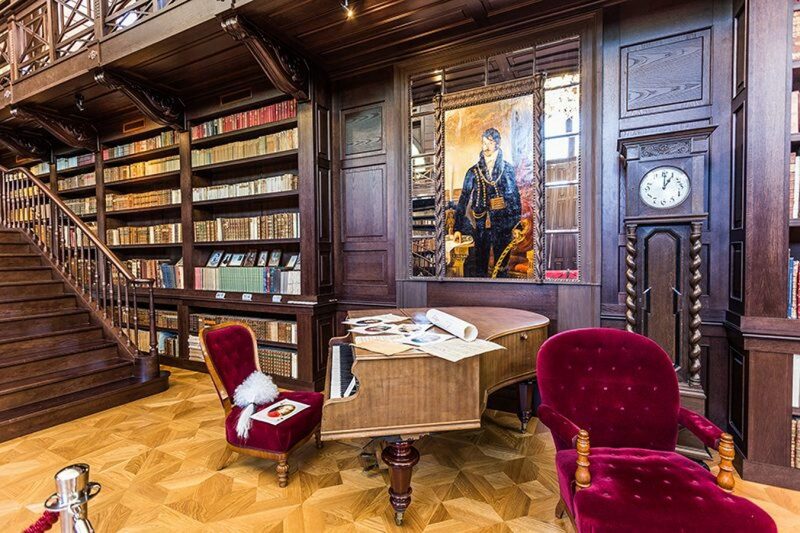 Finally, the last extension of the manor house in 1846, which was the famous family library, gave the manor the layout of the letter U. The Apponyis were an important Hungarian family, and in the times of the Enlightenment and the government of Mary Theresa they belonged to the most prominent and richest families in Hungary. They excelled in warfare, participated in battles against the Tatars (1241), crusades and battles against Turks (1606). Emperors Rudolf II and Charles VI promoted them to Barons and Counts for their military merits. 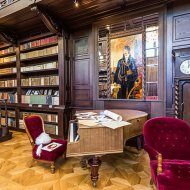 In 18th and especially in19th century, some members of the family excelled in high diplomacy, and Metternich set them as an example to others. The last member of this genus in Oponice was Henrich Apponyi (1885-1935) who had no descendants. After his death, the manor was acquired by a completely different family named Slezák. However, in 1948, the manor and the entire estate was put under state control after the so-called nationalization.